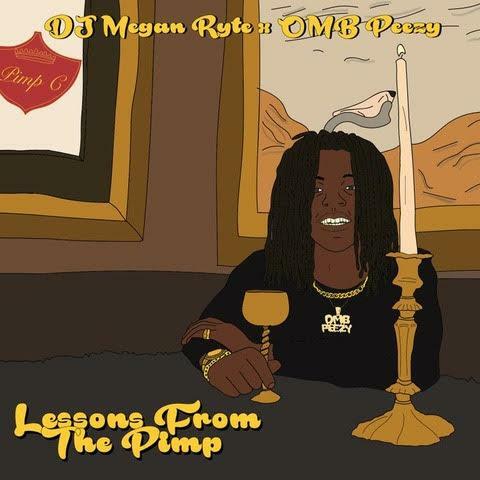 Home>New Mixtapes>DJ Megan Ryte Mixtapes> DJ Megan Ryte Teams Up With OMB Peezy For "Lessons From The Pimp"
Hot 97 personality DJ Megan Ryte has been making her transition to regular music releases, choosing to work with some of the top stars for new drops under her own name. She has always been influential but now, she's exploring new avenues. Last week, she decided to work with Dreamville up-and-comer Cozz for a five-song EP and now, she's teaming up with Alabama's OMB Peezy. Ryte notices many similarities between Peezy's way of telling stories and Pimp C, choosing to title the work Lessons From The Pimp. Peezy rhymes over some fresh samples, linking up with Uncle Murda, Lougotcash and Kaycyy Pluto. Exploring what makes hip-hop so special, Ryte and Peezy chose Drake-inspired beats for the affair. For the next few weeks, DJ Megan Ryte will be working with several other artists for an EP series. Caleb Brown Drops Off His New Project "Safe House Vol. 1"
MIXTAPES DJ Megan Ryte Teams Up With OMB Peezy For "Lessons From The Pimp"